All high output engines are prone to destructive tendencies as a result of over boost, misfueling, mis-tuning and inadequate cooling. The engine community pushes ever nearer to the limits of power output. As they often learn cylinder chamber combustion processes can quickly gravitate to engine failure. This article defines two types of engine failures, detonation and pre-ignition, that are as insidious in nature to users as they are hard to recognize and detect. This discussion is intended only as a primer about these combustion processes since whole books have been devoted to the subject. First, let us review normal combustion. It is the burning of a fuel and air mixture charge in the combustion chamber. It should burn in a steady, even fashion across the chamber, originating at the spark plug and progressing across the chamber in a three dimensional fashion. Similar to a pebble in a glass smooth pond with the ripples spreading out, the flame front should progress in an orderly fashion. The burn moves all the way across the chamber and, quenches (cools) against the walls and the piston crown. The burn should be complete with no remaining fuel-air mixture. Note that the mixture does not "explode" but burns in an orderly fashion. There is another factor that engineers look for to quantify combustion. It is called "location of peak pressure (LPP)." It is measured by an in-cylinder pressure transducer. Ideally, the LPP should occur at 14 degrees after top dead center. Depending on the chamber design and the burn rate, if one would initiate the spark at its optimum timing (20 degrees BTDC, for example) the burn would progress through the chamber and reach LPP, or peak pressure at 14 degrees after top dead center. LPP is a mechanical factor just as an engine is a mechanical device. The piston can only go up and down so fast. If you peak the pressure too soon or too late in the cycle, you won't have optimum work. 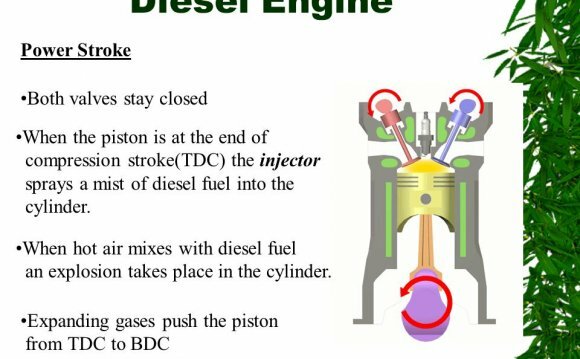 Therefore, LPP is always 14 degrees ATDC for any engine. The NSU Quick 50 was a light motorcycle manufactured by NSU Motorenwerke AG from 1963 to 1965. It was the last motorcycle built by NSU.